Links to the video demo of The new Myspace have been flooding my timeline like Facebook’s Intro to Timeline did months ago, only in a completely positive way. 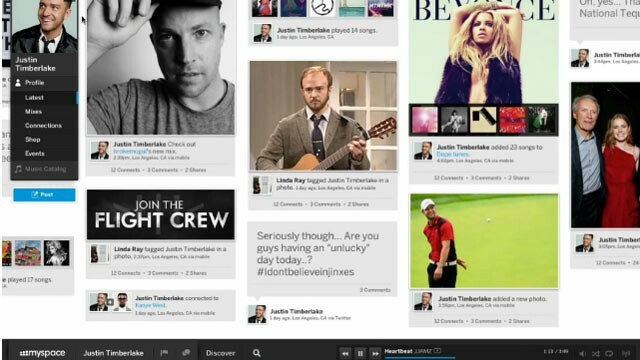 The preview, which showcases a more intuitive and “Pinterest”-esque Myspace interface, are evoking excitement. As my newsfeed is also teeming with stories of Facebook’s looming legal troubles and (apparently false) rumours of privacy bugs, I’m starting to wonder if we don’t have a perfect storm for Facebook desertion on our hands. If we do, what will be the next Facebook? For businesses – particularly those marketing to women – it could be Pinterest. But Facebook always seems to weather a storm, and with great developer tools like Open Graph, it’s setting new precedents for corporate social networking and sharing, for which there may be no competition.